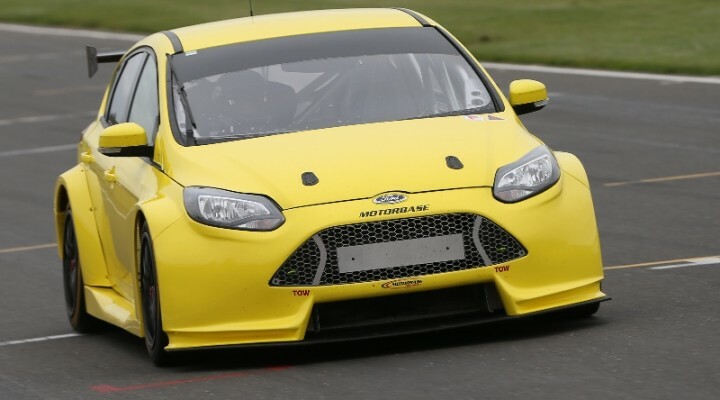 Alex Martin will contest the 2015 Dunlop MSA British Touring Car Championship (BTCC), driving a Motorbase Performance NGTC Ford Focus ST under the Dextra Racing banner. Dorset-based Martin makes the move into tin-top racing following three successful years competing in the Ferrari Challenge Europe championship, which culminated in him securing two race wins and five podiums during the 2014 season. Martin is relishing a return to the BTCC paddock and his debut in the UK’s premier race series having previously raced on the TOCA support package in the Porsche Carrera Cup. The 27 year-old has been evaluated by the race winning constructor team during recent test sessions at Snetterton and Silverstone, and the team were impressed with his initial pace and ability to adapt to the front wheel drive Focus. Martin is set to partake in a number of further test runs with the Kent-based squad with the all-new, eye-catching Dextra livery set to be unveiled later today (November 20) at London ExCeL’s Lux Live exhibition. Martin said: “I’m delighted to be joining the British Touring Car Championship line up for 2015. I’ve wanted to do the BTCC for a while now, it’s something that I’ve been looking at for the last few years and it’s great that it’s finally become a reality. David Bartrum, Motorbase Performance BTCC Team Principal said: “We’ve spoken to Alex many times over the past few years and know him from his Porsche Carrera Cup days with Team Parker so its great to finally see him in the BTCC. Based in Gillingham, Dorset, Dextra Group PLC commenced luminaire production in the late 70′s in a start-up premises in rural Dorset. From its humble beginnings, the Dextra Group PLC is now a market leader in lighting solutions across the UK and Europe with over 500 employees. For more information on Dextra Group PLC please visit the company website or follow them on Facebook and Twitter. The opening round of the 2015 Dunlop MSA British Touring Car Championship will take place at the squad’s local circuit, Brands Hatch on 4/5 April. The championship will visit nine of the UK’s best circuits throughout the season attracting crowds upwards of 40,000 at each venue. ITV broadcasts each and every race live and in high definition on ITV4, with additional highlights programmes being shown after each round on both ITV and ITV4 delivering an unrivalled 229 hours of coverage.